ITV and Tony Ball, the former boss of Sky, have ended talks about him becoming chief executive at the broadcaster, the BBC has learnt. The ITV board's nominations committee met last night and decided to cease negotiations with Tony Ball, the BBC's business editor Robert Peston said. ITV also confirmed that Michael Grade would stand down when a new chairman was appointed "in the near future". Mr Ball was opposed to proposed candidates to replace Michael Grade. This, along with some elements of his contract, are understood to have led to the termination of the talks. The two sides had almost agreed his pay package, but other outstanding items include what he would be paid in the event of his contract being terminated. Mr Ball said he was "surprised and disappointed" by the collapse of the talks. "So it's back to the drawing board for ITV to find a new chief executive - which won't be easy with its part of the commercial television industry in such dire straits," the BBC's Robert Peston said. It is understood that Mr Ball had set a deadline of this weekend to agree terms. 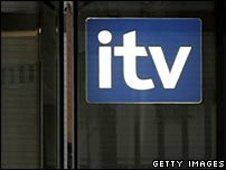 Shares in ITV fell 1.2p to 45.3p on the news. The potential candidate for chairman who Tony Ball didn't want is Sir Crispin Davis. He is standing down as chief executive of the publishing giant, Reed Elsevier. Many will understand why ITV's board felt it inappropriate that a chief executive should have a veto on who should have the role of holding the very same chief executive to account, Robert Peston said. Another name on the list of candidates was Sir Michael Bishop, the recently retired founder of BMI and a former chairman of Channel 4. There are two other potential candidates. ITV is struggling to cope with increased competition from digital channels and with a massive downturn in advertising revenue during the recession. In the first half of this year, the broadcaster made a pre-tax loss of £105m. It has been searching for a new chief executive since April, one it hopes will restore the company to profitability. One month ago, it made an offer to Tony Ball, the former boss of BSkyB, but the level of incentives he was looking for have proved to be a sticking point in negotiations. What is now likely to happen, Robert Peston says, is that a new non-executive chairman will be appointed, perhaps as soon as next week. The new chairman will be responsible for overseeing the process of finding a chief executive.